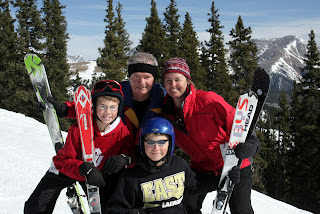 Ski Town Condos at Monarch Colorado is a Family Ski Vacation Favorite! Enjoy staying at Ski Town Condos in Monarch Colorado, a family favorite! Monarch Mountain is a family favorite because of great snow conditions, easy access to the mountain, and a great value with Ski Town Condos packages. Thank you for such a great, nice place to stay while we enjoyed our family ski trip. The hot tub was fabulous after a long day on the slopes. Gigi - you exceeded our expectations & we would highly recommend this place to anyone wanting a clean, cozy place to stay. The boys enjoyed playing games from the top & bottom bunk beds. Thanks again, Steve, Cindy, Payton, Parker & Pete. Ski Town Condos vacation rental keep your vacation planning time short and the variety fun! Enjoy lodging in the comfort of a 2 bedroom condo with log beds, down comforters, a full kitchen, washer/dryer, and hot tub in the gazebo. Call today to make your reservation at 719-539-7928.